WarrenBDC will bring our team of proven professionals to your project. 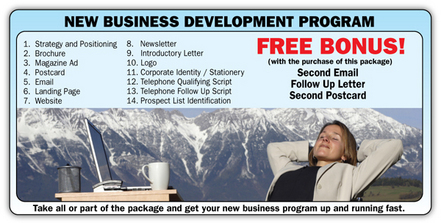 Get your sales or marketing program off the back burner and in front of your prospects and customers now. Missing some skill sets? Warren Business Development Center can easily work with your existing resources in-house or out-sourced.